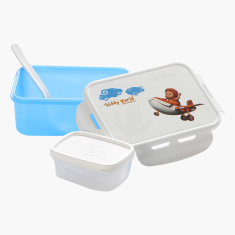 Save SAR 1 (11.11%) – Earn 1 Shukran What is Shukran? Shukran is the Landmark Group’s award-winning loyalty programme in the Middle East, which allows you to earn Shukrans when you shop any of our brands. 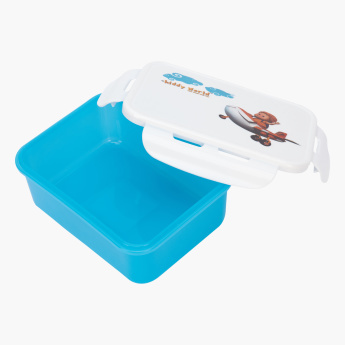 Your little one is going to enjoy her mealtime at school with this attractively printed lunchbox. 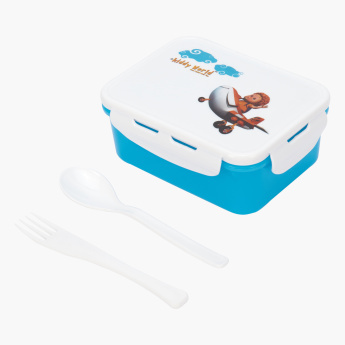 Convenient and food-safe, this lunchbox comes with a fork and spoon and a clip lock lid that ensures the food inside does not spill.